It’s no more just about luxury shopping: Philanthropy and real estate investment are also hot topics. The January 2016 issue will have “Philanthropy in America” as its main feature. “Many Chinese CEO’s residing in the U.S. are willing to create their own philanthropic foundations in America, as they used to do in China. 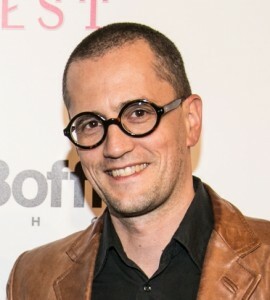 We’ll publish stories to help them to understand how to create a charity organization with all the necessary partners: banks, wealth management advisors & attorneys” added Pierre Gervois. Driving a vintage 1960 Cadillac on Road 66 is also part of a true luxury American experience. (You can also rent a brand new Cadillac SUV). The march 2016 issue will feature a “Luxury road trip to America” story. Ralph Lauren ripped Jeans, Louis Vuitton beaten up keepall bag, vintage Rolex, Room 101 skull necklace, a motel with neon signs, this is America. After the success of the September 2015 men’s fashion issue “The Gentleman Traveler”, The September 2016 issue will also feature a Men’s fashion special edition, with in depth stories about America’s best fashion designers. “Having a tailor made business suit made in USA makes a statement for Chinese global business executives” said Tyron Cutner, the Shanghai Travelers’ Club magazine Men’s Fashion Editor. Real Estate is probably the hottest topic for Chinese travelers. They invested $22Billion in real estate last year (including the $2Billion Waldorf Astoria building and it’s growing fast. Very fast. The november 2016 issue will feature the most expensive houses and apartments in the United States ($15M+), as well as profiles of New York City best real estate attorneys and U.S. interior architects. 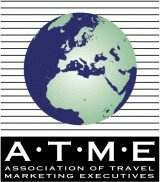 “Winter Holidays in the American West” will introduce snow experiences in the American West: Colorado, Nevada or Arizona are beautiful in winter time and very desirable destinations for Chinese frequent travelers to the U.S. who had already visited New York and Los Angeles multiple times and want to experience a truly authentic American Christmas time. 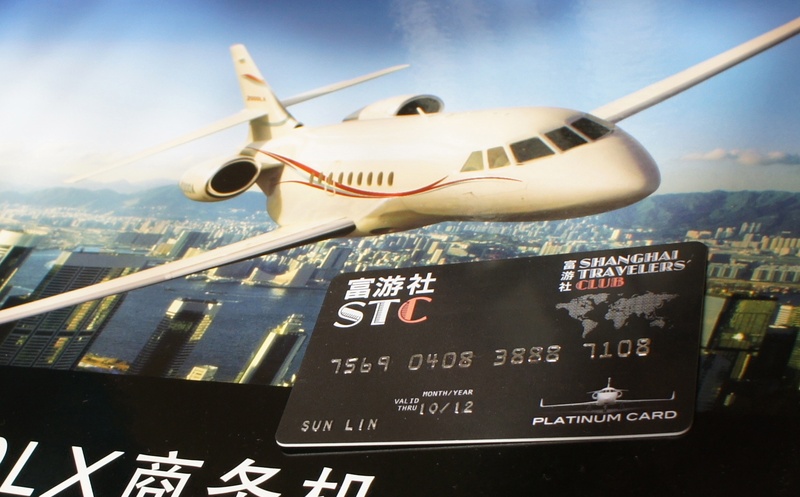 Request the 2016 Editorial Calendar & Media Kit of the Shanghai Travelers’ Club magazine here. As China’s outbound tourist market rapidly expands, high-end hotels and retailers across the world are vying for the business of this important group. In the United States, one company on the front lines of this trend is China Elite Focus, a New York-headquartered, Chinese-language publisher that has been producing luxury travel magazines for Chinese readers since 2008. With content focused on destinations, hotels, cuisine, retail, and philanthropy, the magazines were created to meet demand by moneyed Chinese travelers for content on authentic, upscale experiences. In order to learn more about how China’s luxury outbound travel market has evolved over the past six years, we talked to China Elite Focus CEO and Publisher Pierre Gervois about the changes he’s seen in Chinese travelers’ taste. Read below to hear his thoughts on Chinese travelers’ interest in getting a taste of American culture, the decline of the Chinese “100 percent shopping trip,” and how this fall’s Golden Week fared for U.S. luxury businesses. What inspired you to start China Elite Focus? In 2008, after having served as the president of a consulting company specialized in foreign investments in China, I decided to start a new publishing company and to publish high quality luxury travel magazines in Chinese Mandarin. A lot of my Chinese friends complained to me that they could not find any publication in Chinese language with curated and sophisticated content for their outbound travels. So our mission, from the beginning, was to bring to them beautifully written travel stories about the world’s most spectacular and exclusive experiences. I’m very proud of the job we have done with our team of very talented travel editors, lead by our Senior Travel Editor, Elaine Ke. 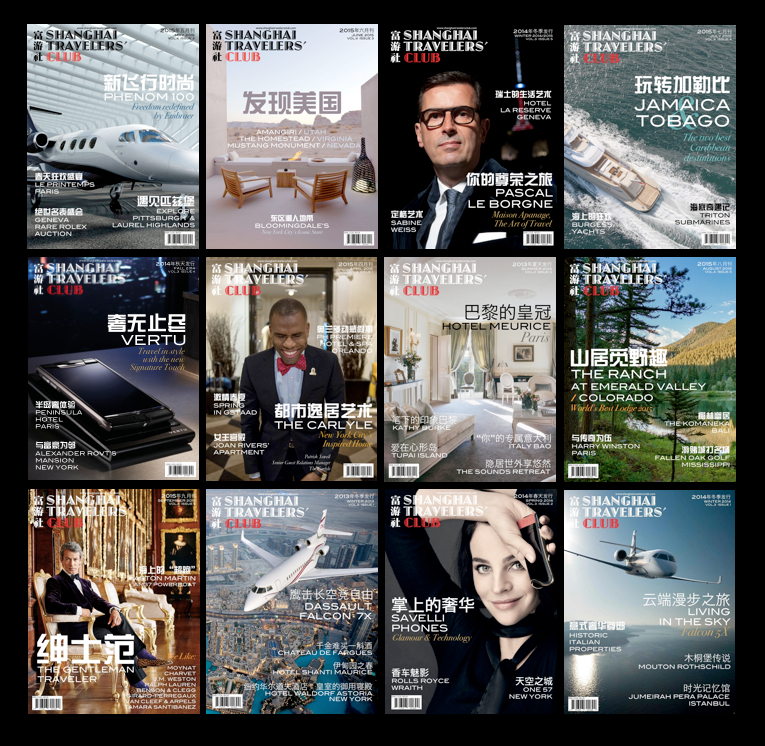 Today we publish there magazines: the Shanghai Travelers’ Club, Luxury Hotels of America, and American Philanthropy. How is the content of your magazines tailored to a Chinese audience? All the content of our publications is written at our Shanghai office by Chinese editors. We do not translate from English an existing article; we produce our own original content. We are in constant exchange with our readers through Weibo, and we know what kind of themes or destinations they want to read stories about. For example, we have noted a strong interest for travel to the United States over the past year, and we have increased the stories about luxury travel experiences in the United States. We’ve been reading a lot about how wealthy Chinese travelers are becoming more interested in “experiential” travel rather than just basic shopping and sightseeing. Have you noticed this trend growing among your readers? That is true. The time of the “100 percent shopping trips” is done. The new generation of affluent Chinese outbound travelers is now very mature, extremely well-informed, and wants to discover new experiences, off the beaten tracks. We have published stories about horseback riding experiences in the Nevada desert in Luxury Hotels of America which had great success with our readers. Chinese shoppers tend now to plan much more carefully and in a very sophisticated way their shopping plan abroad. They are looking for more limited-edition items of lesser-known brands they have discovered on social media networks, rather that already well-known global brands, who have saturated the market with products over-marketed to Chinese customers. One of your magazines focuses exclusively on luxury hotels in the United States. Which U.S. hotels are the most popular with Chinese travelers at the moment? Luxury Hotels of America features in particular historical hotels, or hotels with a connection to the American culture. The kind of U.S. hotels that Chinese travelers like are boutique hotels, lodges, and ranches with a connection to nature and wildlife. We have seen a significant shift from standardized, large-size hotel chains to much smaller hotels offering a personalized experience. In New York City, we have seen that hotels in Brooklyn, built in former factories, in “hip” neighborhoods were a great success with Chinese travelers, as well as properties in the American West, offering a genuine local experience. How was this season’s Golden Week for luxury hoteliers and retailers in the United States? We have recently discussed with several well-known retailers in the United States, and they have been surprised by the evolution of the shopping behavior of Chinese customers and their use of social media to compare brands and know exactly where to buy. It was not uncommon for them to see Chinese customers with their iPads and mobile phones texting to their friends about brands and retailers. The digital integration of the shopping experience is now extremely important and mobile payments such as the Apple Pay will definitely be very popular with Chinese shoppers in the United States. Since the beginning, we have integrated our content with social media, and we are very pleased with this trend. What are some ways in which U.S. luxury businesses are doing a good job of reaching and serving Chinese tourists? What are some ways in which they can improve? 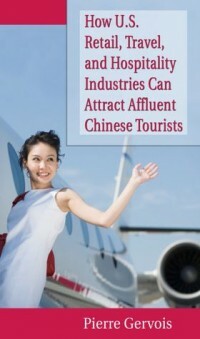 -No more stereotypes about Chinese tourists. A lot of U.S. hospitality, tourism, and retail companies still create marketing campaigns with the stereotype in mind of group tourists traveling in coaches, staying in cheap hotels, with entirely pre-arranged shopping programs. Most Chinese travelers do not want to travel this way anymore and choose themselves their hotels and their shopping experiences, without the help of travel agencies. -Chinese travelers to the United States are looking for a genuine American experience. Some U.S. hotel chains have developed programs specifically for Chinese travelers with rooms decorated in a Chinese style, offer Chinese food only, and entertainment programs linked with Chinese culture. This is exactly the opposite of what Chinese tourists really want. They write to our editors and complain with us that they want to find a real American experience in hotels, not a “fake” Chinese experience! They have traveled for thousands of miles to have a taste of American culture and civilization. -A more sophisticated and thoughtful marketing strategy with Chinese customers. U.S. luxury brands must understand that, in order to sell to Chinese tourists in the United States, they must start to promote and do branding in China, with specialized digital media targeting Chinese travelers planning their trip to the United States. It’s too late and very little effective to promote their brands in printed magazines or tourist guides distributed in airports or hotel lobbies, because the purchase decisions have already been made several weeks ago, in China. Digital native advertisement (sponsored content) is also very effective to create brand awareness. Chinese customers are early adopters of the newest technologies, and old-school marketing does not work and looks “uncool” to them. Social media integration and sponsored content are the two pillars of a successful campaign with Chinese tourists coming to the United States. China Elite Focus Magazines LLC, the leading publisher in luxury travel and lifestyle magazines for affluent Chinese travelers, announces the official launch of its latest publication “American Philanthropy”. American Philanthropy magazine will feature exclusive articles about America’s most influential philanthropic organizations as well as profiles of American Philanthropists. The first issue introduces organizations such as New York Community Trust, National Philanthropic Trust, Bed Stuy’s Project Re-Generation and Graham Windham to highly affluent Chinese businessmen and donors. A renowned New York philanthropist – Nancy Heiser, also vice president of wealth management at UBS Bank, has the honors of the first cover story. American Philanthropy magazine specifically caters to the new generation of international Chinese business executives doing business with the United States. This publication is available on all platforms such as iPad, web and on China’s most important social media network, Weibo. As the head of one of the country’s top travel PR firms, I am constantly tracking continuing and emerging trends influencing the hotel and travel industries. I am pleased to announce that following a recent meeting in New York City with Pierre Gervois, CEO of China Elite Focus, I will be joining his team as the new Editor-at-Large of the prestigious magazine, Luxury Hotels of America. 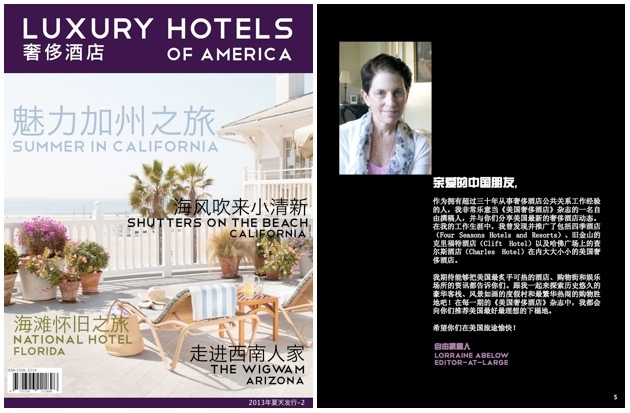 Read by over 40,000 affluent and independent Chinese travelers, Luxury Hotels of America is a quarterly iPad only publication published entirely in Chinese language and focused exclusively on travel to the United States. It is the go-to source of information for the new generation of affluent Chinese outbound tourists planning a leisure and shopping trip to the United States. 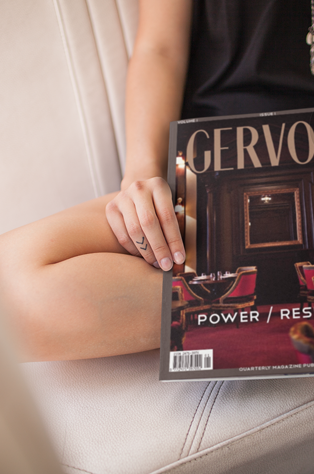 In each issue, I will be discussing a recent trend in America’s most historic and unique boutique hotels. Our hotel PR firm understands the importance of properties appealing to the growing Chinese affluent class and their specific travel interests and needs. I look forward to bringing news on the hottest places to stay, shop and play in the US to this growing audience of Chinese tourists. From the most tech-savvy guest experiences to over-the-top shopping concierges and private jet transport, I will uncover the best travel secrets to appeal to the Chinese desire for over-the-top, luxury accommodations and shopping experiences. With over 30-years of experience leading a top travel public relations agency, I am often approached by publications seeking insight into how the most exclusive hotels around the world are adapting to draw the interest of different markets. I am particularly thrilled to be working with a publication that is entirely focused on such a substantial and meaningful share of today’s travelers, the Chinese. In fact, the number of Chinese tourists visiting America each year only continues to grow at exponential rates. At our PR agency, we work with our clients to find creative ways to attract and meet the demands of travelers from different backgrounds. I want to thank Pierre Gervois for giving me this opportunity to share my knowledge and in turn grow through direct interaction with Chinese tourists! I am excited to share my travel industry expertise in encouraging the Chinese to explore the United States’ best historic inns, unique hotels, lush resorts and jet-set shopping destinations.